SOUP experimental is set to host Summer Session 2017 on July 22nd, 2017 from 4:00PM to 10:00PM. 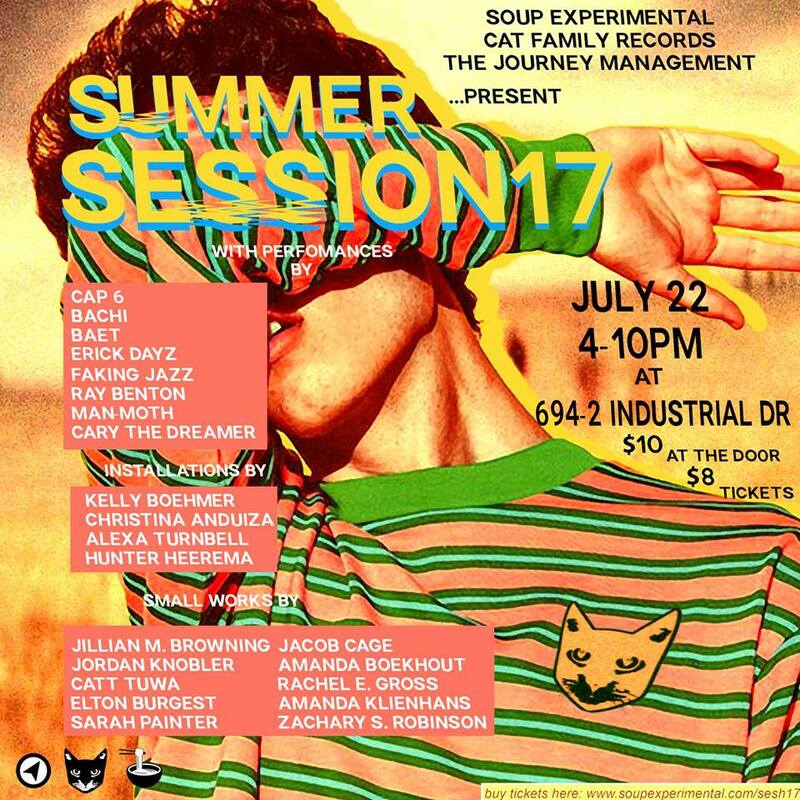 Summer Session 2017 is a collaborative project hosted by Cat Family Records, the Journey Management and SOUP experimental that highlights emerging talent growing within the community of Tallahassee and Northwest Florida. The diverse backgrounds of our city provides a rich and cultivating attitude that when mixed together flourishes in unexpected and exciting ways unique to our region. Through collaboration with like-minded ambition, these collaborators are fully capable of revealing the contemporary standard of disposition that’s featured in our area.